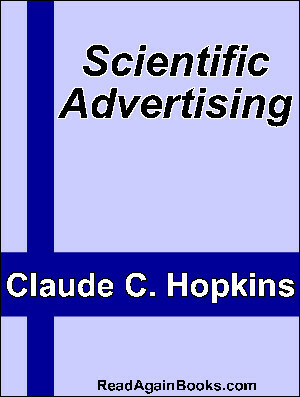 Claude C. Hopkins was one of the great advertising pioneers, he believed advertising existed only to sell something and should be measurable and justify the results that it produced. ‘Scientific Advertising’ is the result of his years of experience and testing and is essential reading for anyone interesting in advertising and business. Chapter 10 Things to costly. Chapter 19 A name that helps. File Size : 365kb approx.